Started off with leading a Chi Gung class at 7 AM to about 18 attendees. Great start to the day. 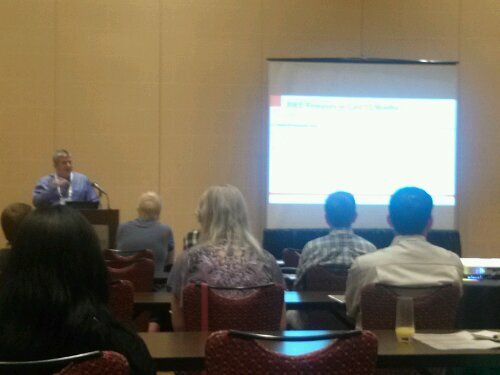 The panel discussion was followed by a series of talks from Oracle BI product management. 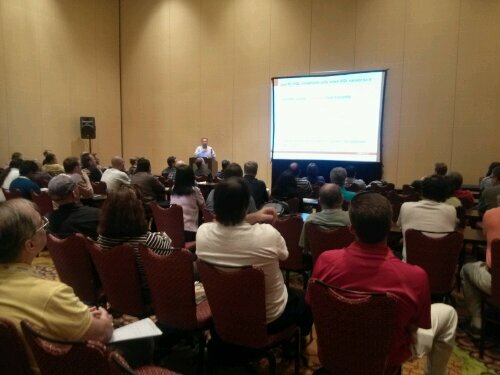 There was lots of talk about mobile BI, Oracle’s acquisition of Endeca and of course BI in the Cloud. Some review (for me) and some new stuff too. I learned his trick for showing the joins between views – use the view to table utility to convert the views to tables, add PKs, then use the Discover Foreign Keys feature. This creates FKs based on column names and know PKs. Cool trick. Just gotta remember to set “generate DDL” to “No”. 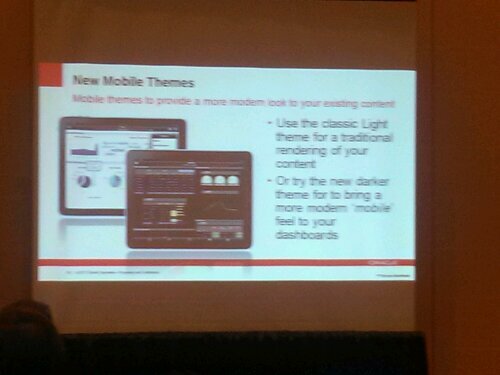 Quick switch back to the BI Symposium to see some screen shots of a new look and feel for OBIEE with modern mobile themes. More coolness…especially if you are an iPad sort of geek. Back to DB dev land (is it lunch yet?) 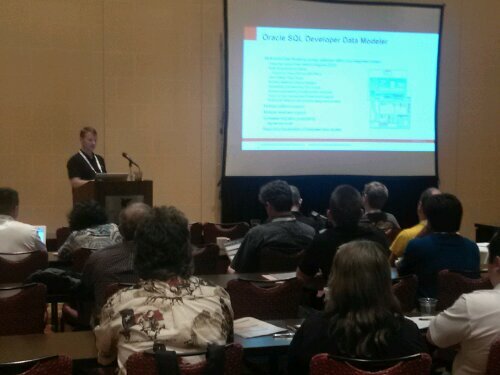 to hear Oracle product manager Jeff Smith (@thatjeffsmith) take about full lifecycle development using SQL Developer. 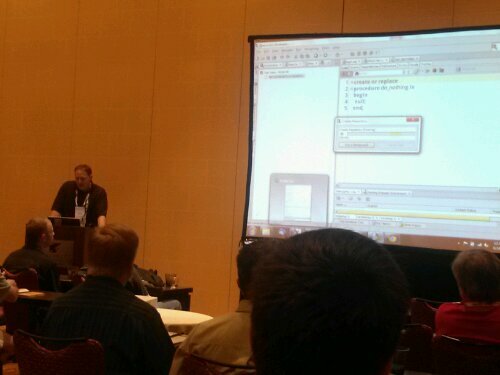 Lots of great tips from Jeff about generating table api’s, using version control, doing schema diffs, and unit testing. 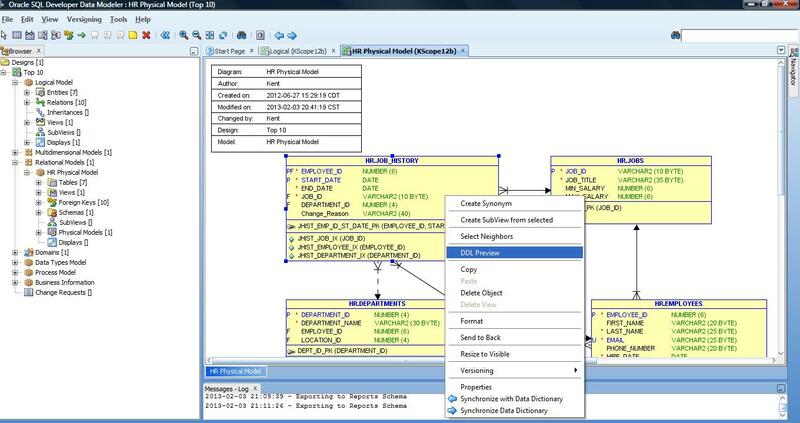 SQL Developer definitely has lots of features I did not know about. Being able to define unit tests inside the tool seems like a valuable option. I will be getting folks at my client site to try it out next week! So, Mike talked a bit about how Endeca Information Discovery can be used to gain understanding and build analytics on big and unstructured data. 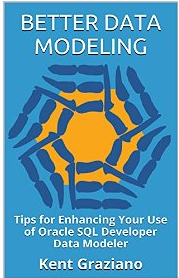 Mentioned “faceted data model” and generating a key value store. Sounds cool. Have to look into that too. Mike also discussed using BI Publisher to allow users access to local data (in Excel, XML, OLAP, etc) so they can build their own reports. Scary thought but, in some businesses it will make sense because in reality not all data is in an ERP system or a well built RDBMS. No to hear the world-famous Tom Kyte (of Ask Tom fame) talk about his approach to tuning. It was, as expected, a full house. Tom’s main point was not to necessarily tune the specific problem query but more holistically to look at the overall algorithm (or approach) that was taken to solve the problem in the first place. In his experience many queries can’t be tuned all that much when what was written was not even the best way to solve the problem. He gave quite a few eye-opening examples where there was simply a much better way to accomplish a task than the SQL that was originally written. Seems many situations really require re-engineering the solution. Moral of the story – find the simplest solution. If the code is really complex, you are probably wrong (or at least over complicating it). Try again. 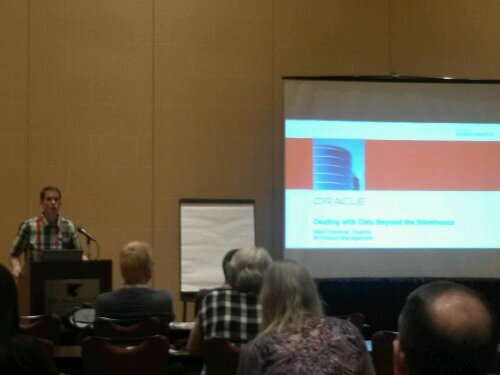 Last symposium session for the day (for me) was Maria Colgan (Oracle) talking about tips to get the most out of the Oracle Cost Based Optimizer. Maria is the queen of the optimizer. She explained what the optimizer will do in several situations and why and if it is wrong, what you need to change to get it right. Okay – already on brain overload (and it is just day 1!). Have my own presentation tomorrow. And Chi Gung at 7AM. P.S. There were lots of tweets all day with more pictures of the event. To see them look for #kscope and @ODTUG on Twitter (or follow me @kentgraziano).